When it comes to prime farm real estate and recreational farms in Illinois, there is no one more knowledgeable than the experts at Sterling Land company. Sterling Land Company has almost 40 years of experience in the farm real estate business. We are proud to offer our customers with a premier selection of recreational farms in Illinois. Our real estate brokers have worked in nearly every situation and are experienced when it comes to buying or selling recreational farms in Illinois. Recreational farms in Illinois offer an almost limitless potential at a price that is affordable to our clients. To learn more about the uses and affordability of recreational farmland in Illinois, please call the expert real estate brokers at Sterling Land Company today at 815-718-2244. You can also get in touch with one of our knowledgeable representatives by simply filling out the online request form on this page. In terms of functionality, there are many potential uses and applications for recreational farmland in Illinois. For example, recreational farms in Illinois are an ideal setting for a good number of outdoor sports. Camping, fishing and hunting are some of the more popular options to offer on recreational farms in Illinois. 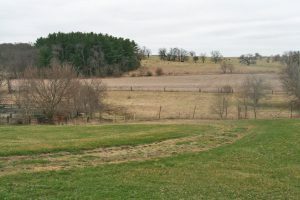 Many recreational farmland in Illinois still have the option to farm a portion of their acreage during peak seasons depending on the condition of the land. Sterling Land Company is proud to offer our clients a wide variety of recreational farmland in Illinois. We offer properties in counties all over Illinois so our clients can find one in an area that they desire. Our team of real estate experts will help you find a solution that fits your farming needs and suits your budget. For more information on the affordable recreational farmland that we offer in Illinois, please contact Sterling Land Company today at 815-718-2244. You may also learn more from one of our knowledgeable representatives by simply filling out the online request form on this page.